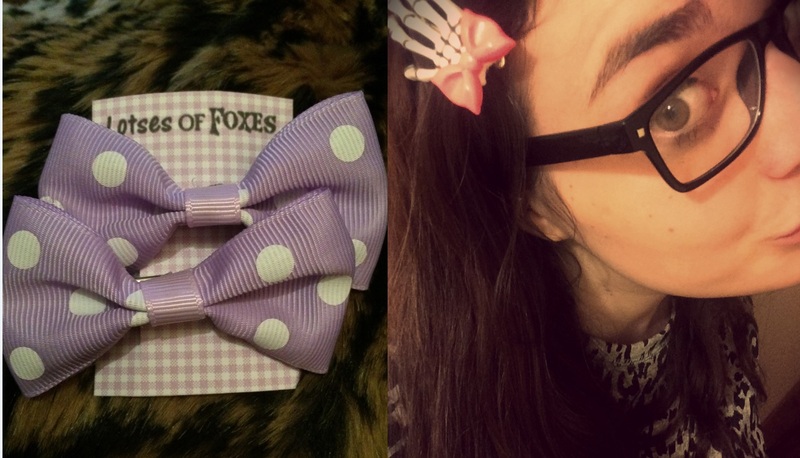 I received my package today from Lotses of Foxes @ Etsy and I'm soo impressed! All of the items are absolutely beautiful, as you will see from the photos. Zoe, who runs the shop is so lovely too. I received these beautiful cloud hair clips which have cute little pearlescent rainbow coloured stars on them. These are absolutely adorable and feel incredibly durable. Finally, I received two brooches/badges that look like little bottle caps. The cool thing is that they have references to the film 'Labyrinth' on them... like how cool! I used to love that film as a kid so these really appealed to me and made me chuckle. I would recommend Lotses of Foxes to anyone who loves kawaii items. The shipping was super quick and Zoe's prices are so reasonable.